Chan and his wife Stacy have three beautiful daughters Abigail, Aubrey, and Amber. Chan has served the local church for 25 years. Most recently he has been the Lead Pastor of CrossPointe Church Orlando, which was planted in 2002. CrossPointe planted seven other CrossPointe churches as well as partnering to plant a dozen different churches around the world. Chan is also currently teaching church planting at Capital Seminary. Glynn Harrison is Emeritus Professor of Psychiatry Bristol University, in the United Kingdom, where he was also a practicing consultant psychiatrist and Chair of the Department of Psychiatry. He is an Anglican lay minister and speaks widely on issues of faith and psychology, neuroscience, and psychiatry. His books include ‘Ego Trip’ and ‘A Better Story.’ He is married to Louise. Matt is the co­pastor of City Church Manchester in the United Kingdom. He studied Theatre and English Literature and went on to teach at a secondary school before becoming a university campus evangelist. Matt then worked with the charity Emerging Leaders to teach leadership across grass­roots communities in central Africa. Following this, he worked as the associate pastor in the city of Liverpool. Three and half years ago he moved to Manchester to plant City Church. Matt is married to Jacky, and they have a son, Reuben. Tommy Kiedis is the Senior Pastor of Spanish River Church in Boca Raton, Florida. He holds doctorate degrees from Fuller Theological Seminary and Southern Baptist Theological Seminary and has been in ministry for over three decades. Tommy married his wife Shannan more than 30 years ago; they have six children and twenty grandchildren. We're excited to host six church planters from our network as they share their experiences in church planting. These workshops are an excellent way to learn skills and insight as you plant your church. 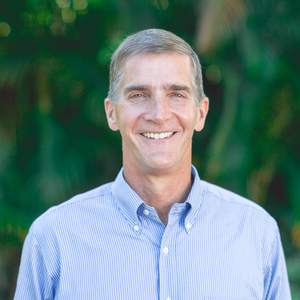 Mike is the lead pastor of New River Fellowship (NRF) in Fort Lauderdale. 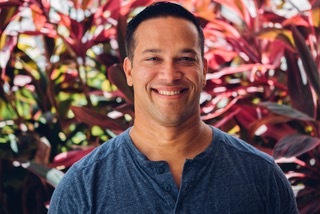 NRF is a church plant that launched in January 2018 and is working to serve the city of Fort Lauderdale and reach the nonbelievers and unchurched of the area. He graduated in December 2017 with a Master of Arts in Ministry with a focus on Church Planting through Capital Theological Seminary and Graduate School. He earned his Bachelors Degree from Moody Bible Institute. As a former agnostic, Mike is passionate that New River Fellowship will show people Jesus Christ in both word and deed. Michael lives in Fort Lauderdale, FL, with his wife, Suzanne, and three children, Noël, Flara, and Judah. Dave Miers is the Lead Pastor of City on a Hill: Brisbane, which is part of the City on a Hill Movement in Australia. Dave is married to Rowena, and they have three children. He is passionate about using new mediums to communicate the timeless message of Christ crucified and risen. In his downtime, he enjoys soccer, sushi, and sunsets. Kelly Adkins is a church communications director and consultant, planter's wife, mom of three, and long-suffering Orlando Magic fan. She and her husband Mike have been married for almost 25 years, and together they planted the multi-campus Grace Church (discovergrace.com) in the Orlando area in 2003. She holds a Masters in Communication from Wheaton College and encourages people at kellyadkins.com. Charlie is a transplant to the Mid-Atlantic. Raised in Florida, he was born in Key West and grew up in Fort Myers. Charlie and Erin have been married for over 13 years and can often be found on a stoop eating ice cream with their three young children, Charlie III (Trip), Kai and Gabriella. Charlie has actively served in the ministry for over a decade. He served four years as a Pastor in Florida. Most recently, Charlie served as a church plant resident of Epiphany Fellowship Church in Camden under the oversight of Pastor Doug Logan and Dr. Eric Mason. He is currently completing his Master's degree in Church Planting through Capital Seminary. Charlie’s passion is to see the Gospel planted in the city of Baltimore, goons made into disciples of Jesus, and churches planted throughout inner cities. Pastor Rudy Rubio is married to Edna, has four amazing kids, one son in law, and a granddaughter on the way. He is a church planter in the city of Lynwood, CA and co-founded Reformed Church of Los Angeles (RCLA). He's finishing up his MDIV at Western Theological Seminary in Holland, Michigan and will be starting his doctorate in the summer of 2018. Rudy was raised in the toughest parts of L.A, ran with the gangs, did multiple prison terms, and by the grace of God is now saved and ministering to a people he identifies within a community he knows well. David and Kelly Richter met in Nashville, TN, in the fall of 2000 while Kelly was working for a local troubles girl's home and David was serving as an intern with Reformed University Fellowship at Vanderbilt University. They were married in November 2002 and then moved to Edinburgh, Scotland to do short-term mission work with a local city-center, Free Church. After their return from the mission field, David and Kelly attended Covenant Theological Seminary in ST. Louis, MO, where Kelly earned a Master of Counseling degree, and David a Master of Divinity degree. Then, in the summer of 2007 they moved to Rochester, MN, where they lived and worked at L'Abri Fellowship and David served as the associate pastor at Trinity Presbyterian Church. In May of 2012, the Richters were called by the Christ the King Church planting Network in Boston, MA, to plant a new congregation of their multi-congregational church in Somerville, MA, and have been serving in that work since. The Richters have two beautiful children, Sam (11) and Luci (8). Taras started a “granddaughter” church this year. He has a unique gifting for evangelism in the European, post-Soviet, post-Christian context. Come to hear new ideas for growing your church-planting movement and new approaches for church evangelism in a post-Christian world. Dima has been involved in church-planting since 2001. By God's grace, the first church he planted has multiplied to five daughter and granddaughter churches. During the same time, 17 other churches joined the movement because of its commitment to scripture, relevant evangelism and leadership development. This year, the movement leadership team developed a plan to see the movement grow to 100 churches and also become a catalyst for similar movements in Russia. Terri and her husband (Rick) are the founding leaders of Eurasia Partners Network. Their mission is to accelerate indigenous, Gospel-centered church-planting movements in Eurasia through coaching, connecting and resourcing. Terri studied education at Penn State and the University of North Carolina at Wilmington. She is completing her certification as a “Professional Certified Coach” with the International Coach Federation. Steve Thiel is the church planter and pastor of Christ Proclamation Church, which is located in greater Hartford, Connecticut. Their church launched October 5, 2014, and had grown to an average attendance of 170 people over the course of the past four years. Steve has been married to his wife Linda for 18 years, and they have four beautiful kids: Gabriela (16), Samuel (15), Juliana (13) and Jeremiah (11). Steve grew up in Wisconsin, is happy to be called a “Cheese Head” and is a huge fan of the Green Bay Packers. He also enjoys playing basketball, reading, drinking coffee and spending time with his family. Eric currently works at Compassion International releasing children from poverty, with a focus on church planting in impoverished areas globally with church partners in the US. 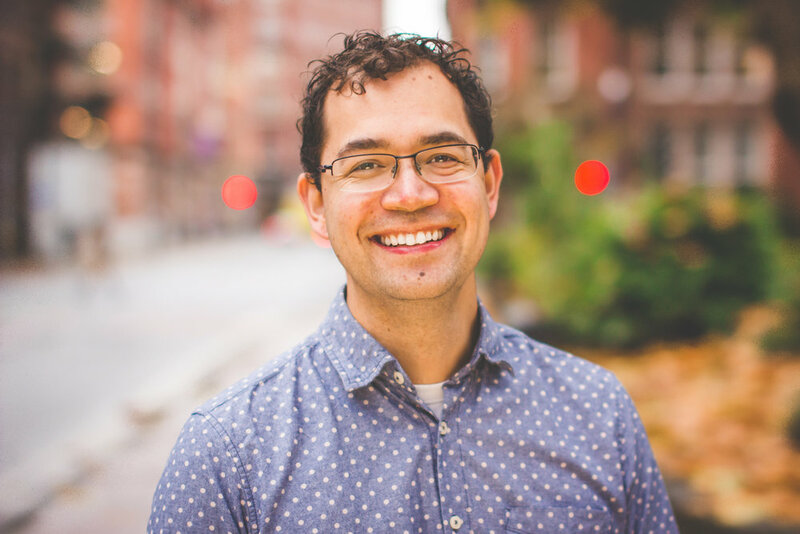 With 20 years of full-time church ministry and church planting experience, Eric came to the Strategic Partnerships Team in 2014 to cultivate relationships with U.S. church planting networks. Eric helps U.S. churches see the sustainability of a church plant in a developing country as the new church reaches its community through Compassion’s child development program. He and his wife, Tara, live in Portland, OR, and have three grown children. In his downtime, Eric enjoys trail running and surfing.